Shipwrecked Gold from the RMS Douro! On March 31, 1882, the RMS Douro cast off and sailed full steam ahead towards her destination port of Southampton. She never docked. The officer on watch assumed the officers on the bridge would see the light from an approaching ship, so didn't bring it to their attention. By the time he alerted the bridge it was too late and the Spanish ship, the Yrurac Bat, hit Douro's starboard side, gouging a large dent in her hull. She sunk along with seven of the crew, including the Captain. All never to be seen again. 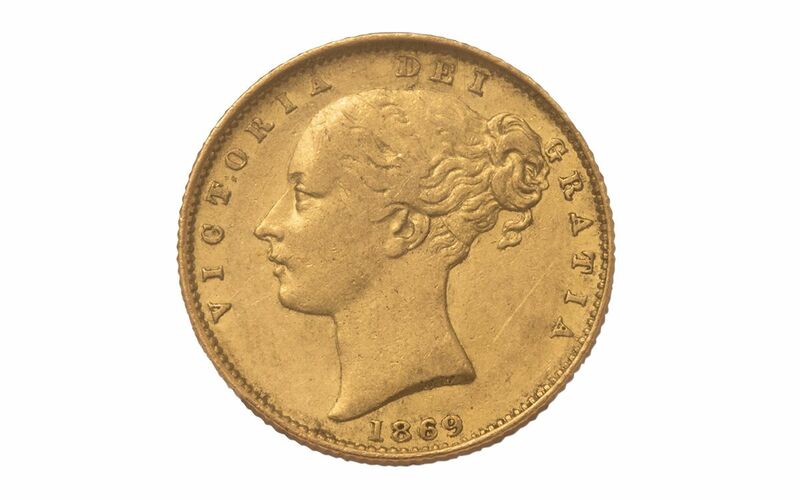 However, over a century later, the Douros valuable cargo of British Gold Sovereigns would, in fact, be seen again. And resurrected by a marine salvage expert. Now's your chance to bring home this sunken treasure (.917 gold) for your own personal collection of coins! EARLY, SCARCE SOVEREIGNS – Did you know that almost all known, key-date sovereign rarities were discovered from the wreck of the RMS Douro? Many were sold on a London auction, but these pieces at GovMint.com were acquired directly from the salvager and tucked away for safe-keeping. Until now, none have been available to the general public, making these coins extremely rare! 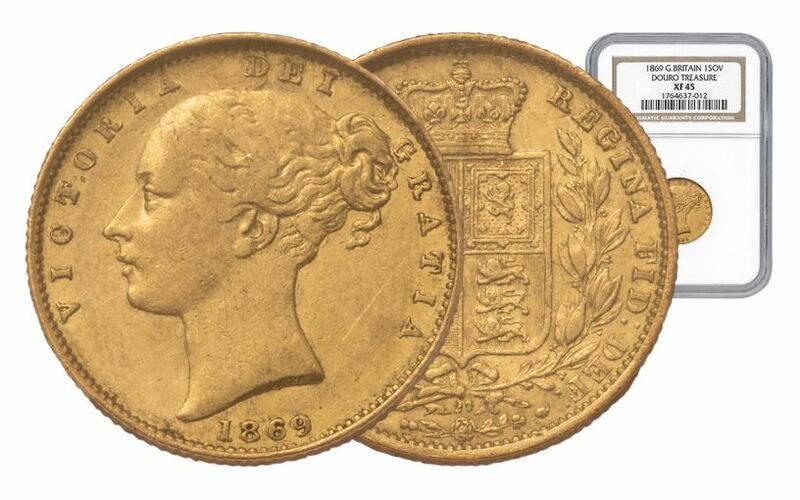 These 1869 Sovereigns not only have a compelling sunken ship story, but hail from the early part of young Queen Victoria's reign. The reverse depicts her at only18 years old, when she ascended to the throne. The obverse displays the scarce Shield Black intricate Coat of Arms, instead of the later-day, less sought-after St. George & the Dragon design. True, sunken treasure masterpieces! 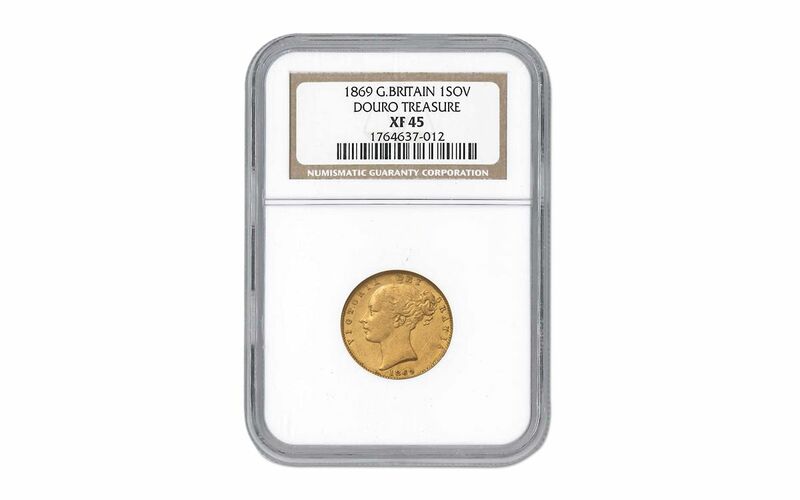 RARE, SOUGHT-AFTER ODDITIES – These gold sovereigns were struck during a time when most of the die makers were considered blue collar and weren't as concerned as modern day minters about craftsmanship. Because of this, there were errors. Sometimes there'd be an "I" instead of the numeral "1". Or an upside down "V" instead of an "A" in Queen Victoria's name. Until the Royal Mint could enforce a policy of pressing die numbers into the coin dies so that they could trace a die back to a specific die maker, these oddities happened. Today, these coins are considered highly desirable and very scarce. FROZEN IN TIME, 22 KARAT GOLD – These coins are struck in .917 gold, that's 22 karat gold! 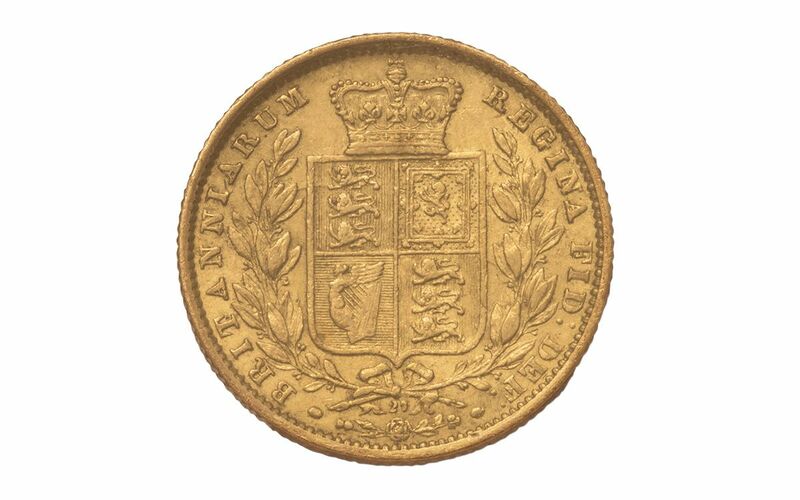 Weighing in at 7.9 grams with a 22mm diameter, along with the oddities mentioned above, these unique coins are considered highly desirable. And because gold coins are not adversely affected by salt water the same as silver, they were effectively frozen in time! LIGHTLY-CIRCULATED, XF45 GRADE – Your coin is graded in lightly-circulated Extremely Fine-45 (XF45) condition This is amazing when you consider these coins circulated 13 to 32 years BEFORE the ship sank in 1882. SONICALLY SEALED - Your coin will arrive authenticated, graded and encapsulated by the NGC with a label clearly stating the unique variety of each coin. Each label bears the pedigree "Douro Treasure" and comes with an official certificate of authenticity. LIMITED MINTAGE – Different than the auctioned coins, these coins came directly from the salvager of the wreck, who, incidentally, was paid in gold coins! None of these scarce pieces have ever been made public until now. Hurry to claim your sunken treasure today at GovMint.com!